This past Saturday was my baby shower - hosted by my wonderful mother and contributed to by my wonderful family and friends! Even more exciting, was B and my parents were able to surprise me with B's wonderful parents and sister, who drove up from Massachusetts to be a part of the special day! It meant so much to me and B to have them all there. Everyone was beyond generous, and B and I feel so spoiled and so loved. It was more than we expected and we couldn't thank everyone enough for what they did for us and our little peanut! 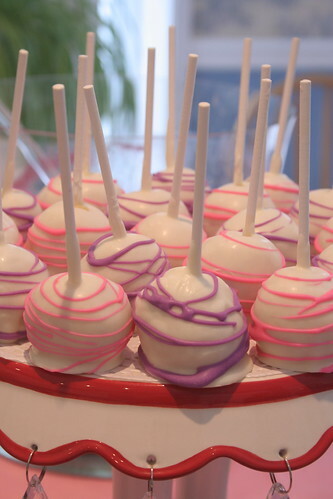 Delicious chocolate cupcakes and lemon cake pops! Both were huge hits with all of the guests! 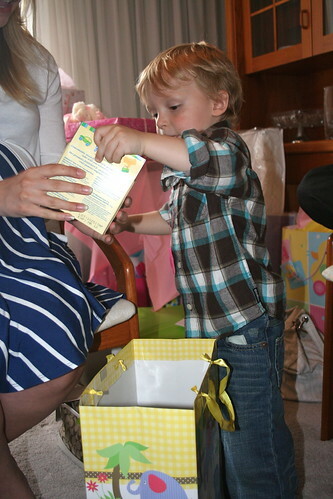 Her little man Parker (who is only 2) was also a big help when it came to me opening a few of my gifts. Definitely a lot easier to have him bending over to pull things from bags than me doing it! ... and my Aunt brought some tears to my eyes when she gave me a box with a photo of my Nana on it, and inside were nestled a pair of my father's leather baby shoes from when he was a baby. It was so sweet. I was so happy to have a bunch of my favourite girls there to celebrate as well! I've been friends with these ladies for almost 12 years now! I love them! 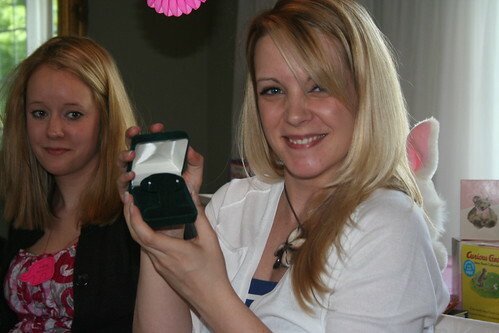 And even I got a little something from my B! He surprised me with the Kate Spade Date Night Ring that I fell in love with so long ago! I love how bright and fun it is. Isn't he the best? Not a great photo - but just a little glimpse of PART of what we received! B and I brought home what we could fit into our car on Saturday night. Sunday morning our parents and B's sister came for breakfast and brought over the rest of the gifts that couldn't fit into our car the night before. It took a very long time for the two of us to sort through all of this... and a lot of it is still scattered on our coffee table. It was such a wonderful day and I can't thank everyone enough for coming and celebrating this little girl that is only a little over 6 weeks away from her due date (CAN YOU BELIEVE IT!?). 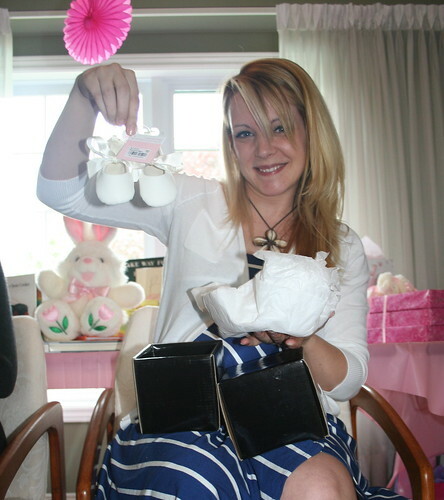 B and I feel SO incredibly blessed to be so loved (remember, this is technically our second baby shower! To see what B's wonderful family put together for us, you can check it out here). There aren't a ton of other details to share - no games, just a lot of time for people to mix and mingle and chat which was so great! I loved seeing friends and family all meeting and chatting and getting along so wonderfully. 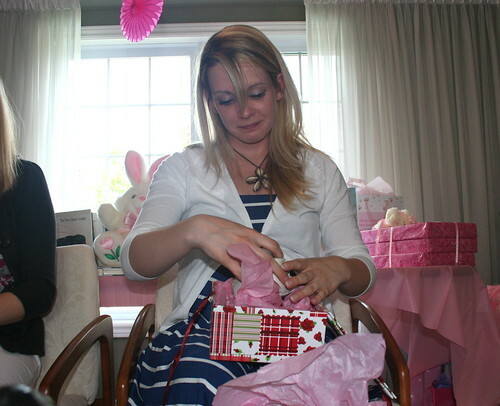 I wish I'd had more time to visit with everyone... but opening gifts took up a large portion of the shower. Speaking of baby - there has been some nursery progress as of late! 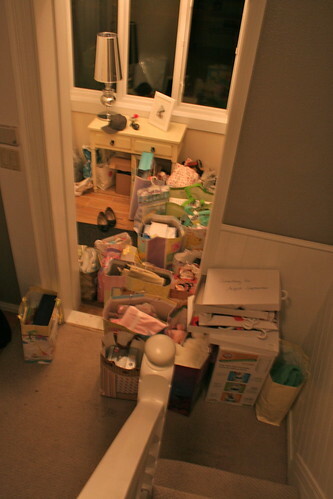 Come back tomorrow to see where we are with the wee one's room... even if it does look a little messy with new purchases tucked into places until we find their proper home. Wow, what a fun party! And can I just say, that you look sooooo good! When I got to that stage, my face was all pudgey (not to mention the rest of me!). Anyways, I'm glad you had an awesome time and looks like you got lots of fun stuff! Seriously the cutest thing ever! I love that cake...holy cow!! Adorable. What a fun day, girl! Looks like such a fun and sweet shower. You and B definitely are surrounded by loving friends and family. I agree with Shannon - you're looking great! How exciting! And only 6 weeks away!! :D Hope everything is going well! 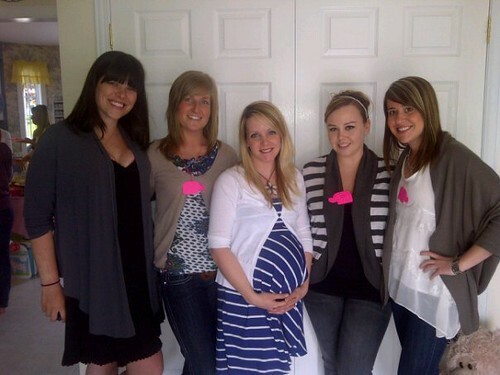 Ah what a gorgeous party- so so happy for you and will definitely be checking back for the nursery updates- love those!!! You look gorgeous!! The party looks excellent and that elephant cake is the cutest! you are adorable!! congratulations on your little sweet pea! 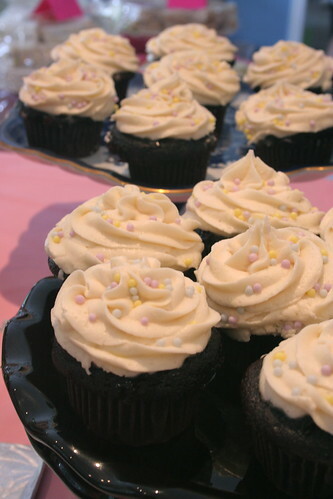 what a lovely shower and those cupcakes look delish! happy week to you and nice to meet you! that is a lot of stuff! 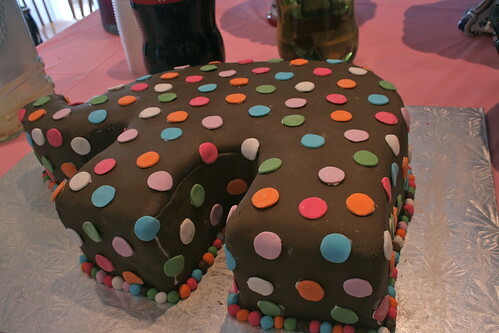 what a great looking cake-wowzers! 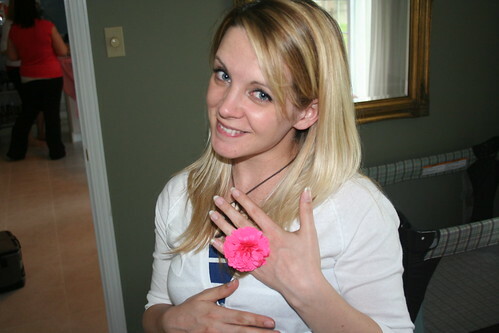 and nice ring from b, so sweet! Guest Post - What Would You Do?